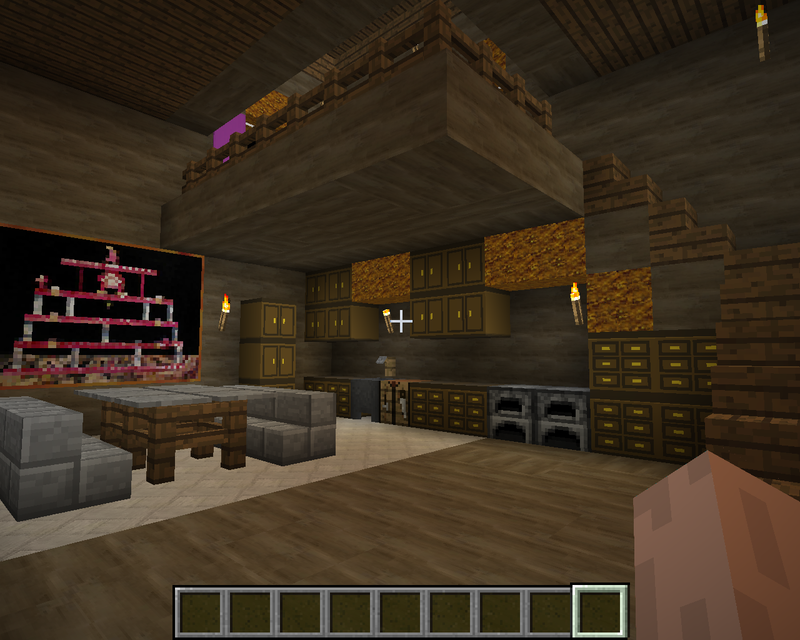 Our Minecraft mod doesn't have an official name yet.. we have been working on it for a few months. I've added a lot of new textures and several new biomes with special woods and features. It is a mixture of reality and fantasy, magic and artisan crafting. There is a way to use many of the resources in the game as 'fiber' to make reed mats, wool items and string etc.. so nothing is wasted and can be used. Also, many of the things can also be turned into coal bits that can be combined to make coal so you will never have anything useless sitting in your inventory. The mod also has orchard trees, lots of different crops and cooking techniques. We made it so it could stand alone without Harvestcraft, but we love Harvestcraft - and tried not to copy it, but to make sure many of the same elements of keeping a nice garden and making all of your own foods were implemented. 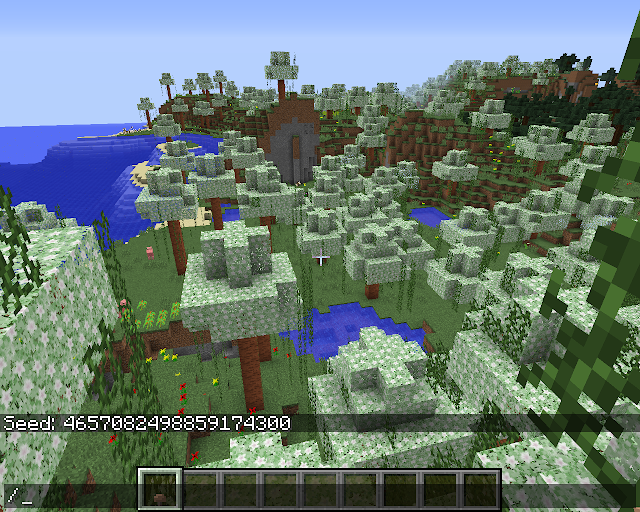 Below is the new cherrywoods biome. I really like how the textures turned out on it. 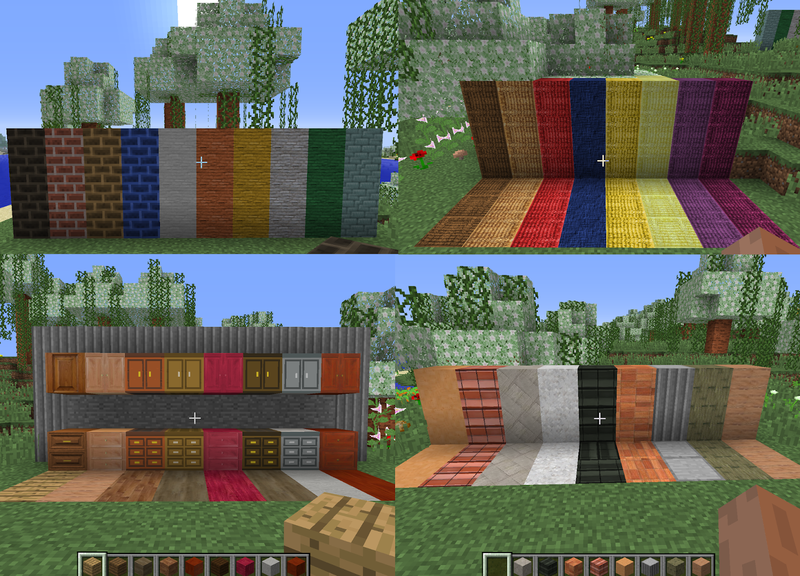 The upper left is vanilla brick, and all of the variations that can be made in this mod. All of these textures can be made in survival.. but some of them of course are harder to make in quantity. The upper right are the new fiber mats that can be made out of seaweed, jute and other fibers and used as flooring or building materials. It can be dyed in some ways. The bottom left are the cabinets made from vanilla woods and special woods to go in the houses. Most floor cabinets are nine spaces and most wall cabinets are four spaces - but.. there are a few that do not follow that pattern. The bottom right are a variety of other textures that can be made - but not all of them. There is a wide array of floor patterns that can be made with the different woods that are not shown yet.. that is a little 'dollhouse' feeling but I really liked some of the textures and wanted to include them for the 'feel' of it. 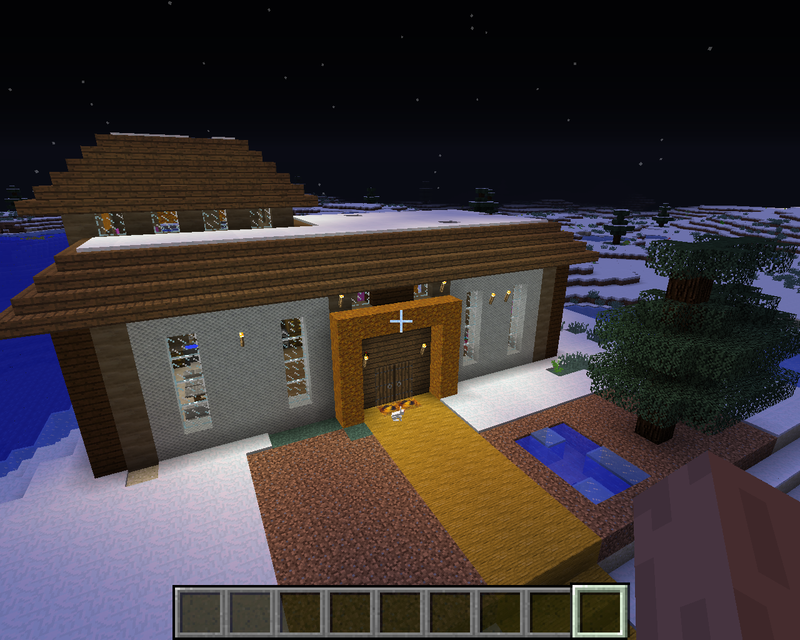 A sample lodge made with some of the texures and vanilla woods. The 'golden sapphire glass' is slightly luminescent, like glowstone. Beech tree.. male 'leaves'? catkins et al? It was foggy this morning.. the colors seemed a bit surreal. I walked all the way back home, grabbed the camera, and went back out into the morning to capture a bit of it. It rained yesterday, and it is raining again today. Hunted all over for this yesterday, and found it. Then sat down to try my hand out at it again. This morning I made a basket.. but off to work now. Picture of that some other day. As mentioned, basket.. and spinosaurus. sketching at the new desk... dog sketches off of pinterest stuff I was looking at and tried a bit at some honeysuckle and a tree and a little shed I see on the way home every day.